Molecular gastronomy can be defined as the fusion of food science and culinary arts. New technologies and natural texturing agents can now be used to deconstruct any dishes and cocktails, enabling one to serve mojito bubbles and martini bites, as well as balsamic vinegar pearls and chocolate spaghettis. 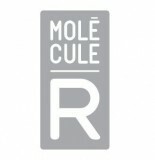 With MOLECULE-R products, a world of culinary possibilities is now within your reach!